Made up this recipe and it turned out great! Pink lemonade concentrate adds that tangy flavor (it can be found in the frozen juices aisle in supermarkets). Makes 64 mini cupcakes or 21 regular size ones. 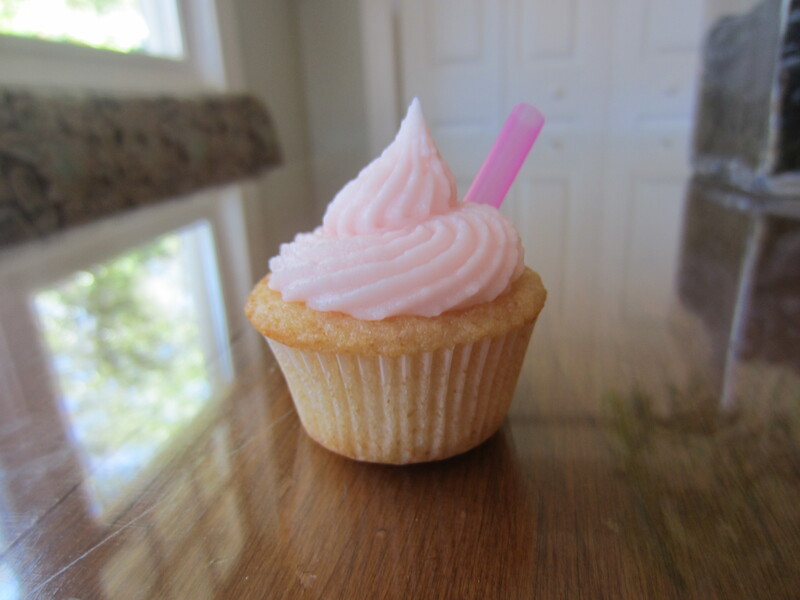 Start with your normal cupcake base..
Spice it up with some pink deliciousness..
..and brace yourself for cupcake madness. Sift dry ingredients into a medium bowl, and stir to combine. 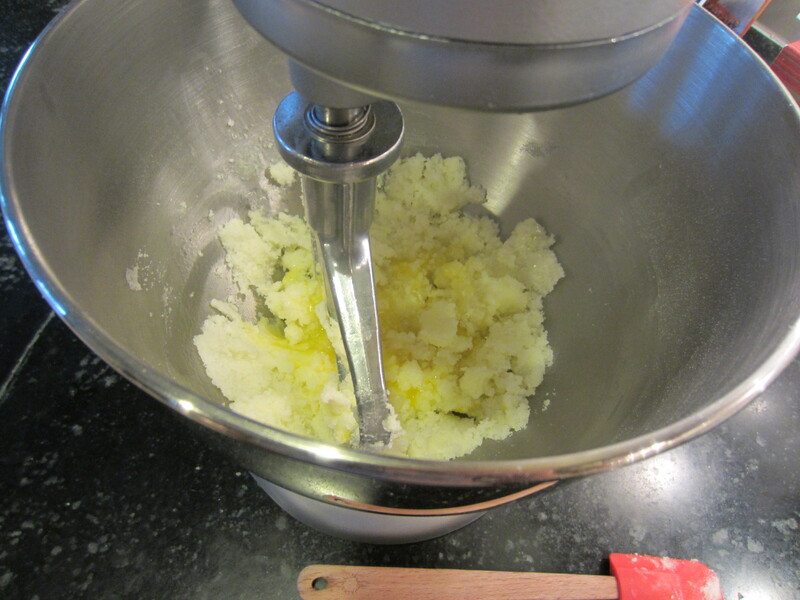 Cream butter and sugar (using a stand or hand mixer), then add eggs, beating well after each addition. Beat in vanilla and pink lemonade concentrate. Add buttermilk alternately with dry ingredients, stirring until everything is just incorporated. 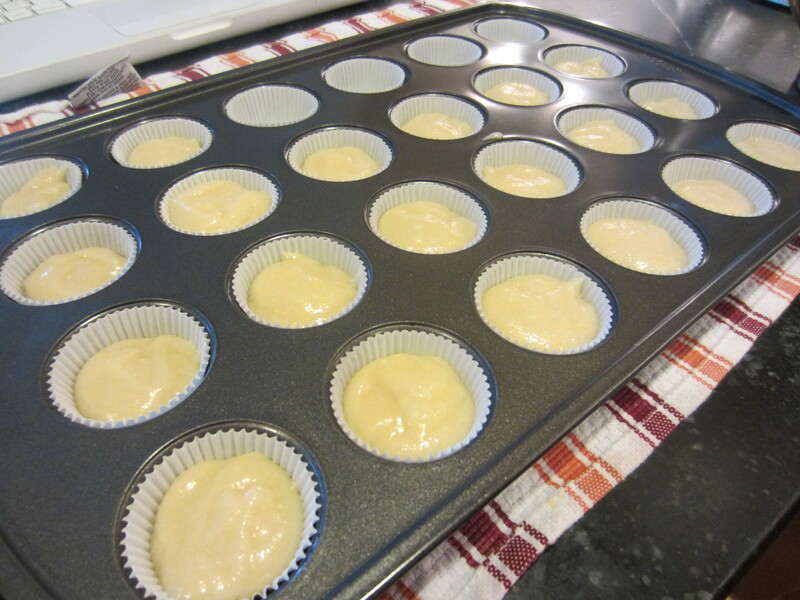 Pour into cupcake liners and bake for about 12 minutes (for the mini cupcakes) or 22 minutes (for the regular size ones) at 350° Fahrenheit. Let cool on rack. Beat butter until just fluffy, then gradually add confectioners sugar. 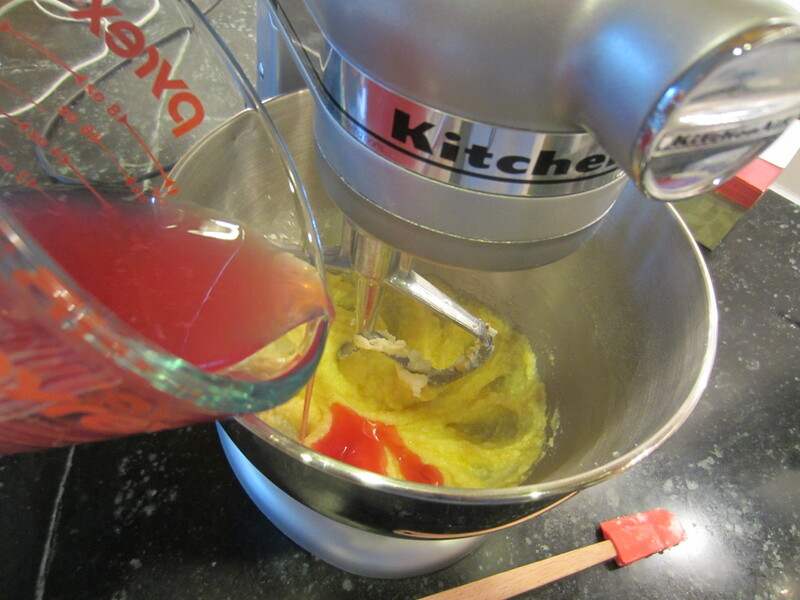 Add 2 tbsp pink lemonade concentrate, then add more until desired consistency is reached. Spread using a knife or offset spatula, or frost cupcakes using a piping bag (I used a french tip). Note: After they go stale, throw one in a blender with some vanilla ice cream and whole milk for a cupcake milkshake. If you think that sounds gross, still try it because it tastes amazing. And if you think that it sounds good, it’s even better than you’re imagining!